Participants willing to attend the conference can register online or can download and fill in the Registration form and send it to [email protected]. I did not receive a password. How can I get it? Check your spam box or contact [email protected]. Authors willing to submit an abstract should send an email to [email protected] attaching the abstract written using the provided template. My abstract was accepted by the scientific committee. What is the next step? Authors of accepted abstract will receive an email with detailed information concerning the registration procedure. How much time do I have for my oral presentation? Each presentation will last for 25 minutes (20 minutes for the presentation + 5 minutes for a “questions and answers session”). 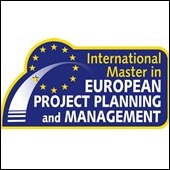 Early registration by 12 April 2019 300 Euro VAT excl. 366 Euro VAT incl. 200 Euro VAT excl. Standard registration by 24 May 2019 350 Euro VAT excl. 427 Euro VAT incl. 250 Euro VAT excl. Late registration after 24 May 2019 400 Euro VAT excl. 488 Euro VAT incl. 300 Euro VAT excl. Individuals or organizations from EU member countries (except from Italy) will not be charged of 22% VAT, given they can provide a currently valid VAT-ID. The VAT-ID has to be submitted in the registration form or during the online registration. Organisations from non-EU-countries will not be charged of 22% VAT. Individuals from non-EU-countries will be charged of 22% VAT. What does the conference fee includes? 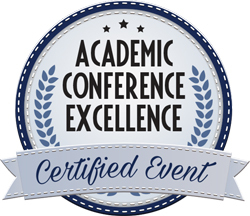 Experts willing to have their papers published in the Conference Proceedings who are not able to attend the conference in person can register for a virtual presentation. Virtual presentations are power point presentations (with audio) or videos uploaded on the conference web site. The presentation will therefore be accessible for all participants during and after the conference. All accepted papers will be included in the Conference Proceedings published by Filodiritto Editore. Do you have any cancellation policy? 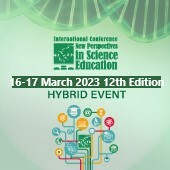 In case of cancellation, please email the Conference Secretariat at [email protected] A cancellation fee of EUR 100 will be charged in case of cancellation before 6 May 2019. Cancellations made after 6 May 2019 will not be entitled to a refund. All refunds will be made after the conference. If you will not be able to attend the conference, the name of a substitute can be notified by email. For information on how to reach the conference venue, please click here.